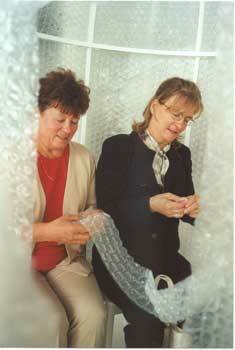 which were covered with bubble wrap. Three of them were adult sized and one small was for children. 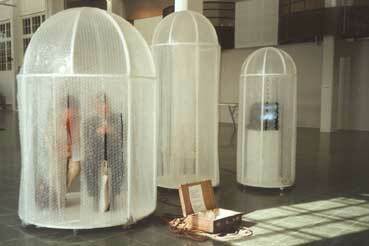 One could sit inside and break bubbles of the loose hanging bubble wrap pieces. demonstrating the bubble breaking. That was inside one chapel. There was also a separate performance connected to the installation. 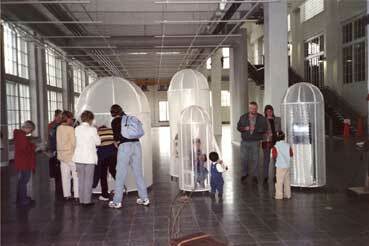 The installation was also shown in Helsinki, in solo exhibition in Gallery Jangva in 2001.